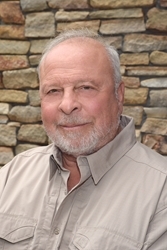 Nelson DeMille is a veteran of the Vietnam War, having served as an Army infantry platoon leader with 1st Cavalry Division. He also is the author of twenty novels, most of which are action thrillers, and most of which have been big bestsellers. He was named 2015 ThrillerMaster of the Year by the International Thriller Writers organization. DeMille’s latest, The Cuban Affair (Simon & Schuster, 464 pp., $28.99, hardcover; $14.99, Kindle), more than lives up to those that preceded it. DeMille’s new hero is Daniel “Mac” MacCormick, a U. S. Army veteran who is using his hard-won military skills to run a fishing boat out of Key West. Mac spent five years as an Army infantry officer. He fought in Afghanistan, and was awarded a Silver Star and two Purple Hearts. That service also came with a variety of eye-catching scars, and it left him with a weakness for adventure. A beautiful young Cuban-American woman offers Mac a deal in which he can help her retrieve $60 million in cash and gold left behind in Castro’s Cuba for a small cut. This isn’t the first novel of this sort I’ve read, so I suspected that things might go wrong. How could it not when the co-conspirators have a map showing where the gold is hidden? Spoiler alert: Things do go a bit wrong. And even though a jaundiced Vietnam War veteran is part of Mac’s team, some unanticipated bad things happen. John Wayne gets a mention—not in a good way—and well-worn expressions from the Vietnam War such as “Di Di Mau” pop up. The murder of seventeen American Vietnam War POWs who had been held captive in the Hanoi Hilton also figures in the plot. They ended up in Cuba only to be tortured and shot by the Castro regime in those bad old days. Their skulls were kept in a trunk, which Mac is responsible for returning to America. I recommend this novel to all those who have been fans of DeMille’s thrillers for as many years as I have. Also to those who have somehow not intersected with this master thriller writer. You have hours of purely pleasurable reading ahead of you. 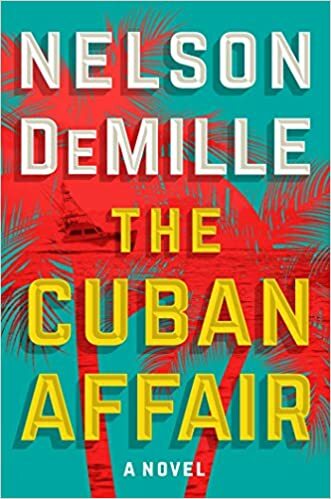 This entry was posted in Electronic Book, Fiction, Mystery, Novel, Thriller, Vietnam War themed novel and tagged Nelson DeMille, The Cuban Affair, The Cuban Affair DeMille, The Cuban Affair Nelson DeMille by vvaposted. Bookmark the permalink.